Damn! These look amazing and a great gift to mix up for a guy. Plus I get to polish off the bottle – what’s more to love?! Yuuuuuuuummy!!!! 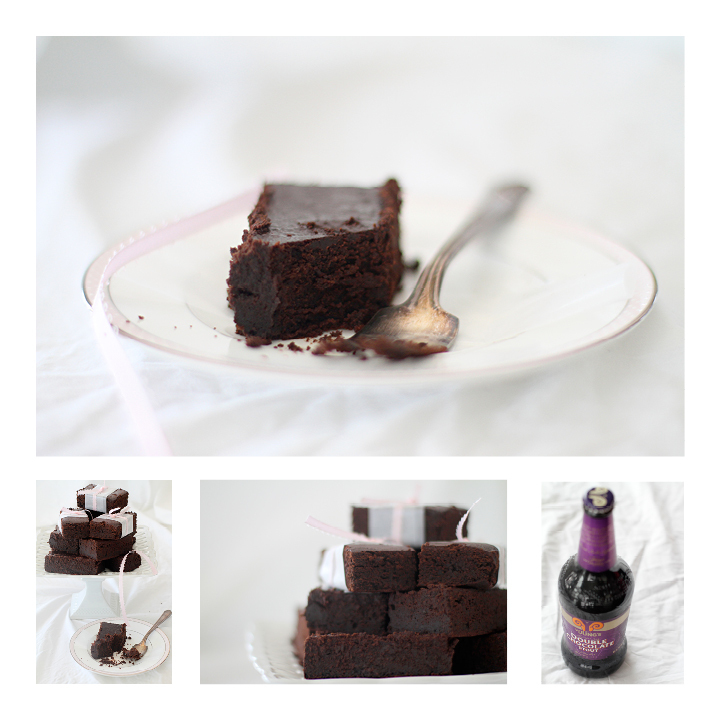 I love stout AND brownies, so um, ya, I likey a lot! Is there anyone who doesn’t love brownies? The stouter the better! Love your blog! And don’t ever think I am just giving excuses for a flat figure…I am not! I am super thin, size 0. If a lot are having problems about being too big, a lot are also thinking about why are they not getting a bit curvy, even just on some areas…please!!! After reading your blog, I don’t care anymore. 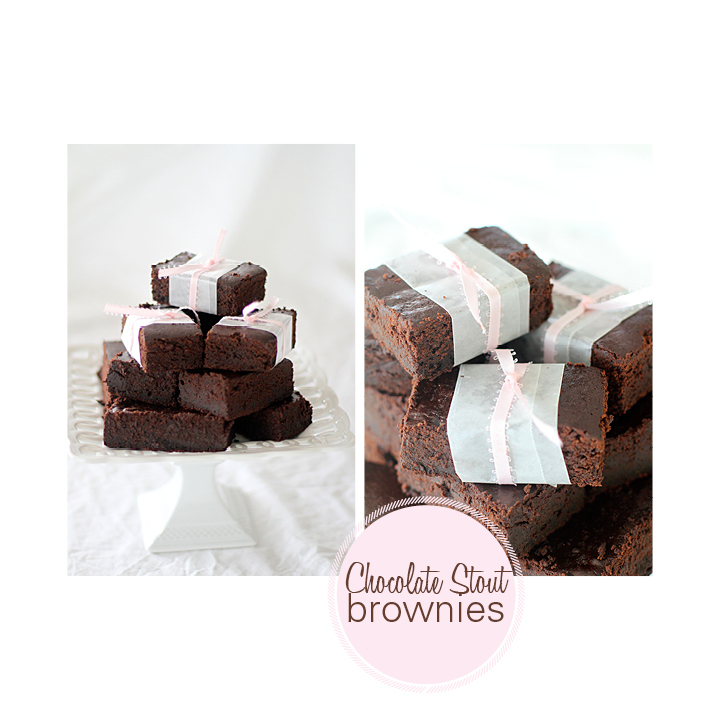 Just wanted to try this delicious brownies! Yum! Another scrumptious recipe! You have a lovely blog and take gorgeous photos. DUDE!!! Those look soooo incredibly CHOCOLATY!! !